Tuesday marked “100 Days To Go” before the start of the ICC Cricket World Cup on May 30. The event will be played in England and Wales and will run until July 14. Holder said the Windies see this upcoming five-match rubber as a major part of the preparations as they bid to win the World Cup for a third time. The 27-year-old added that the team was confident following their 2-1 victory in the recent three-match Wisden Trophy Test series – with wins by 381 runs in Barbados and by 10 wickets in Antigua. “We’re pretty confident coming into the game. We’ve obviously had some momentum in this series from obviously winning the Test series, and we have some experience within the dressing room,” Holder said. 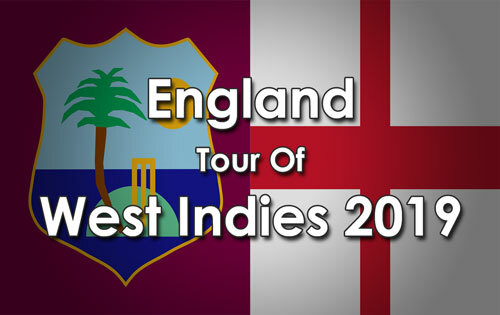 • Tickets for the matches are on sale at Barbados Cricket Association ticket office at Kensington Oval and online at http://www.windiescricket.com via the “BuyTickets” button. Local fans can also benefit from a discount when they present their local ID.